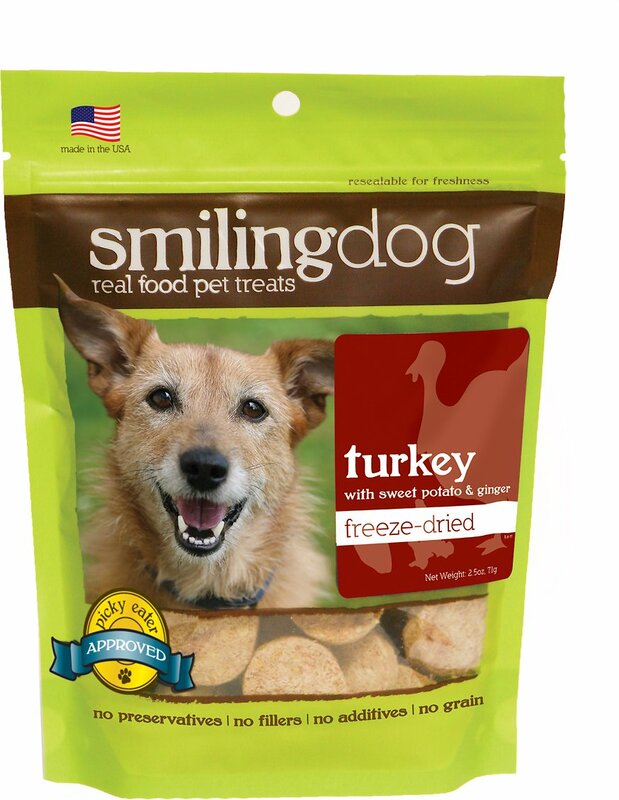 Smiling Dog treats are different. 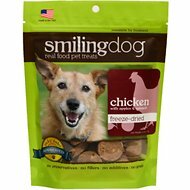 Made without grains, fillers or artificial preservatives, Herbsmith's Smiling Dog treats help dogs live naturally. Dogs are scavenger carnivores, designed to primarily eat and digest meat with some vegetables and fruits or little to no grain. That's why Smiling Dog has real food treats made with basic ingredients based on a dog's optimal diet. This is a raw meat product, handle as such. Always wash hands, utensils, and surfaces with hot soapy water after handling raw meat. Keep away from children. Turkey, Sweet Potato, and Ginger. Healthy treat for dogs with digestion problems! 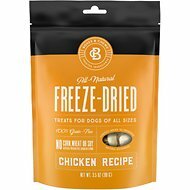 These are super healthy for dogs like mine, who crave treats but don’t handle most of them well. They help control digestion problems while pampering your dog! 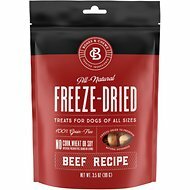 My dog loves these treats. They are small enough to be used for training and large enough for my big Golden that he doesn't feel cheated on the size of his treat. He has a sensitive stomach and these seem to agree with him. I use these for training only. They are a special treat. They are stinky and my dogs go crazy for them. You can break them apart in multiple pieces. My puppy loves it. A little to large for my Maltipoo, so I break it it down into several pieces. A great value.